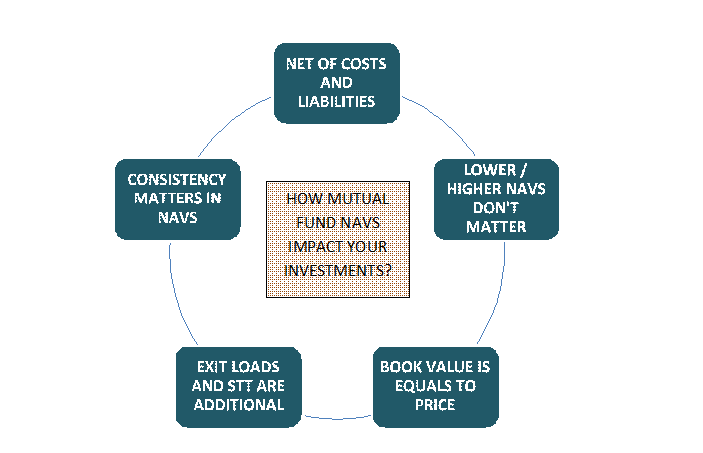 How does the NAV of a fund affect your investment? As per the norms and guidelines of the Indian markets regulator Securities and Exchange Board of India (Sebi), all registered mutual funds are required to announce their NAVs on a daily basis and on all trading days. Net Asset Value (NAV) reflects a fund’s book value and also its market value. It is calculated by dividing the total value of all the cash and securities (net of liabilities) by the number of outstanding units. The NAV of a fund is always expressed on a per unit basis. As per the norms and guidelines of the Indian markets regulator Securities and Exchange Board of India (Sebi), all registered mutual funds are required to announce their NAVs on a daily basis and on all trading days. This value then acts as the benchmark for transactions in the mutual fund the next day. All purchases of funds happen at the NAV (since entry loads are banned). However, sale/redemption of the fund happens at the NAV reduced by the exit load. The term Net Asset Value indicates that it is a net figure. The word ‘net’ is used for two reasons. Firstly, the asset value is reduced by any outside liabilities payable on the fund. Secondly, all expenses of an annual nature are also converted into the Total Expense Ratio (TER) and this TER is applied to the NAV on a daily basis. For example, if the TER of an equity fund is 2.5% annualized, this cost will be converted into a proportionate daily cost and the NAV will be computed accordingly. Therefore, even if you held the MF units for a period of just 30 days, you have still paid the proportionate TER for that period. Remember this: Higher the TER, lower the returns on your investments. There is a popular perception that a fund with a lower NAV is cheaper. That is not correct. The NAV is the sum of the market value of your portfolio minus any liabilities. What matters in the case of your mutual fund is the quality of the portfolio, which determines the potential of growth in the fund’s NAV. A share will have a different book value and market value. The market value of a share also includes factors like the potential growth in earnings, intangible assets like brands, margins, etc. In the case of a mutual fund, NAV is the market price. The value of the fund is derived from the underlying portfolio of the fund and the NAV also reflects the historical value of a fund. Investors made this mistake in 1994 by purchasing units of the Morgan Stanley Growth Fund in the grey market at huge premiums not realizing that in mutual funds, the NAV is the book value which is the market value. If you check the NAV of your fund and the price at which you redeemed the fund, it will be different. This difference arises for two reasons. Firstly, there is an exit load that funds impose if redemption is before a certain period. In the case of debt funds, it could be six months, while for equity funds it could be a year. The exit load is debited to your NAV and the value is reduced to that extent. Secondly, when you sell equity funds, you are liable to pay the securities transaction tax (STT). So the money you realize on redemption will be net of STT and exit load. There is no STT in the case of non-equity funds. If you look at the CAGR returns on both funds, they are at the same point after three years. But look at the consistency. Fund Alpha has generated (15%, 15%, 15%) each year. On the other hand, Fund Beta has generated (35%, -5%, and 19%). Obviously, Fund Alpha is more consistent and therefore, more predictable. 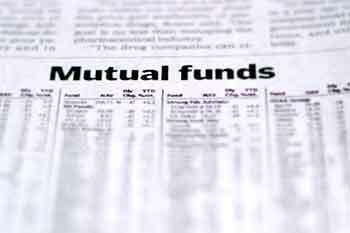 Remember that the Regular Plan of a mutual fund has a lower NAV compared to the Direct Plan. That is because Direct Plans are charged the TER without marketing expenses. That makes Direct Funds better return generators over longer time frames, although they are suited only for the savvy investor.